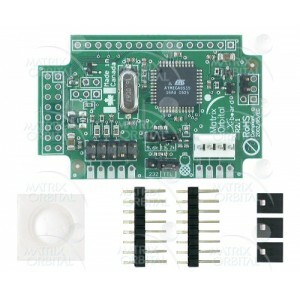 The X-Board S-Series is Matrix Orbital``s compact economy RS232 interface module. This daughter-board is designed to offer easy to use RS232 communication to most LCDs and VFDs. You will have the ability to add this interface module to an LCD or VFD for instant RS232 communication. This product is great if you would like RS232 communication on one of our parallel displays. Please visit our Economy MOS Series for more RS232 display ideas.